This great high value Glad coupon is back and ready to be printed! 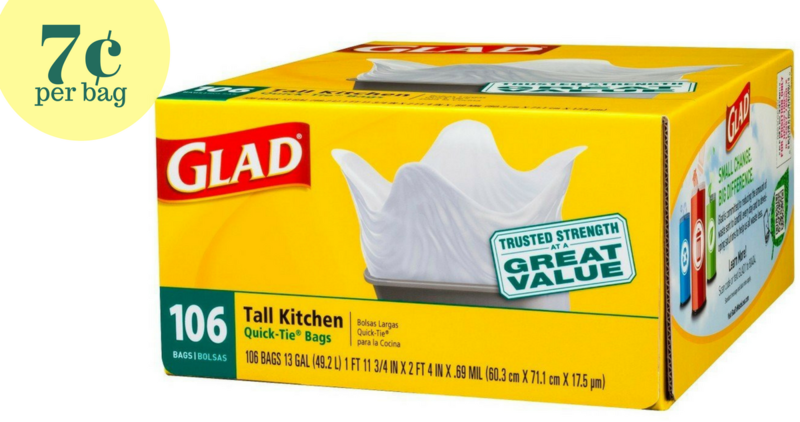 Take it to Target to get Tall Kitchen Trash Bags for just 7¢ a bag! See the full Target Ad for more great deals to grab. makes it $7.99 or 7¢ per bag!